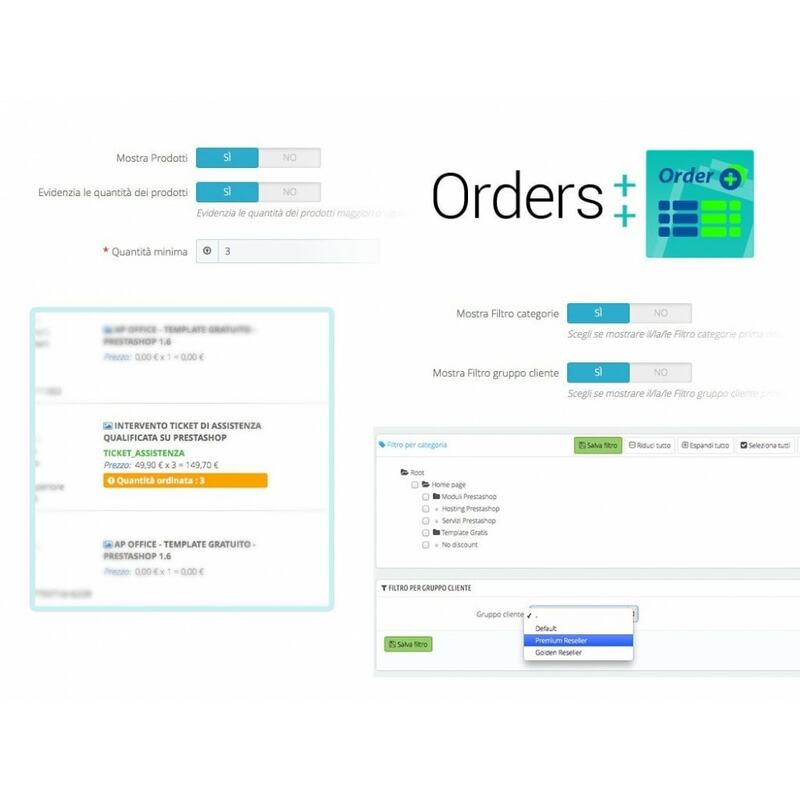 Save time, optimize your work and better manage your warehouse. 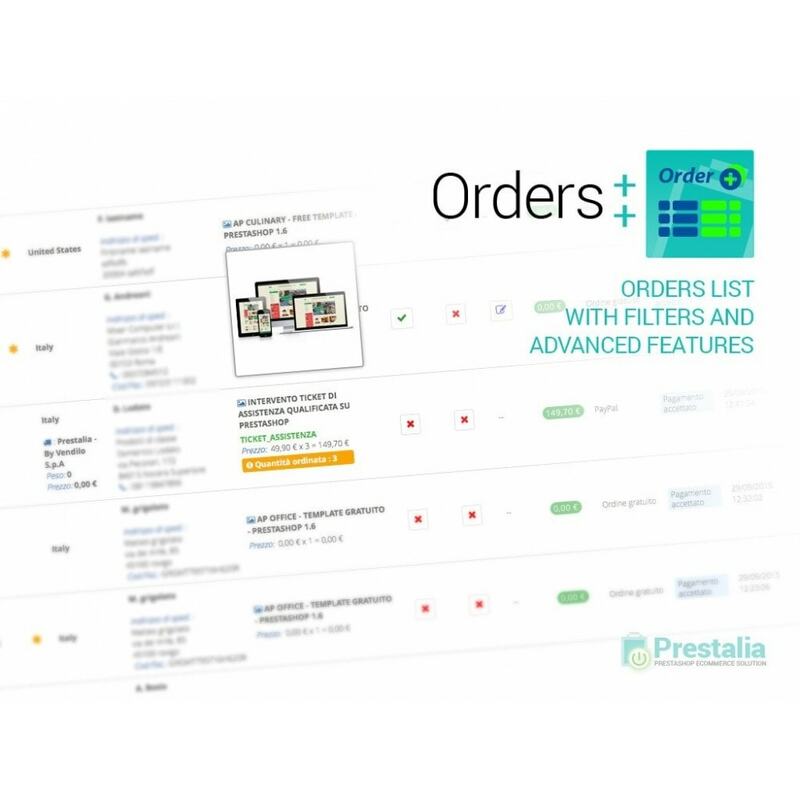 This module lets you to customize your order list: choose what columns to show, add custom fields, highlight rows with a specific status, show products thumbnail and filter the list by category and customer group. 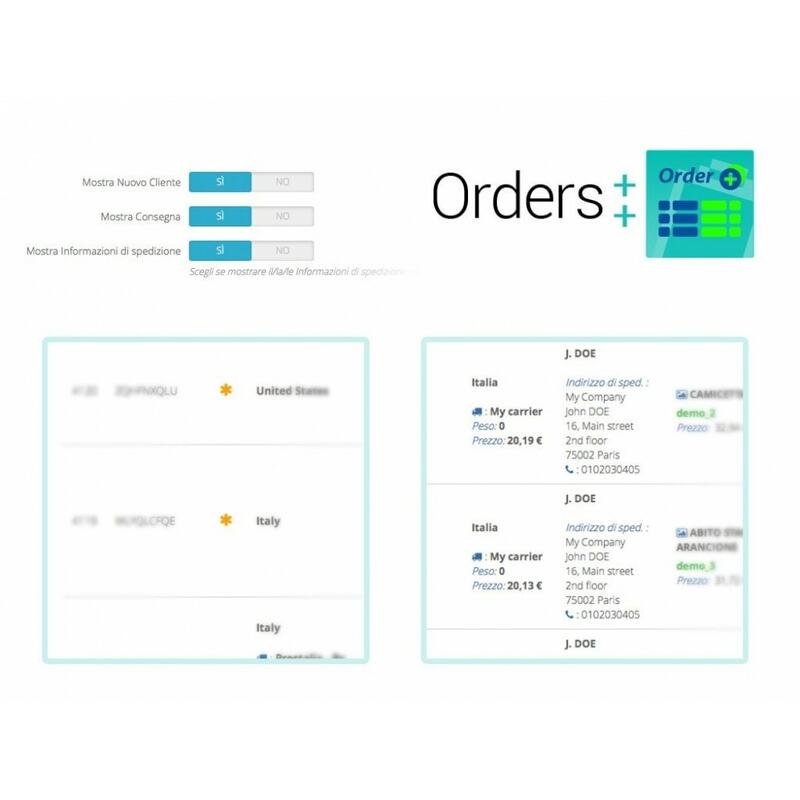 Module will permit filtering and ordering of all columns and it is full multishop compliant. 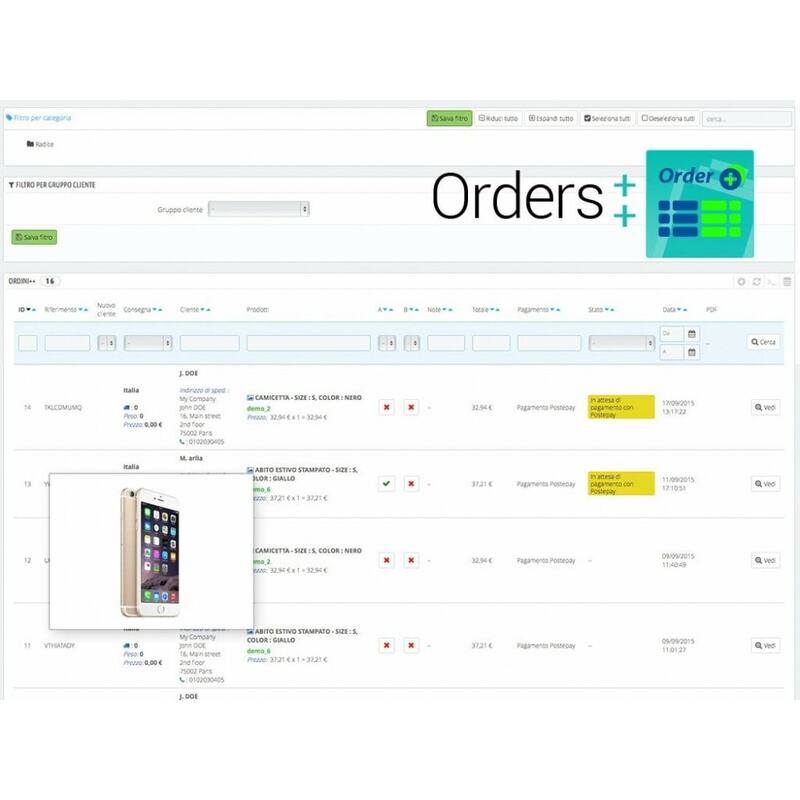 Enable/disable the highlighting of the product quantity label if same products in an order are more than a specified quantity. 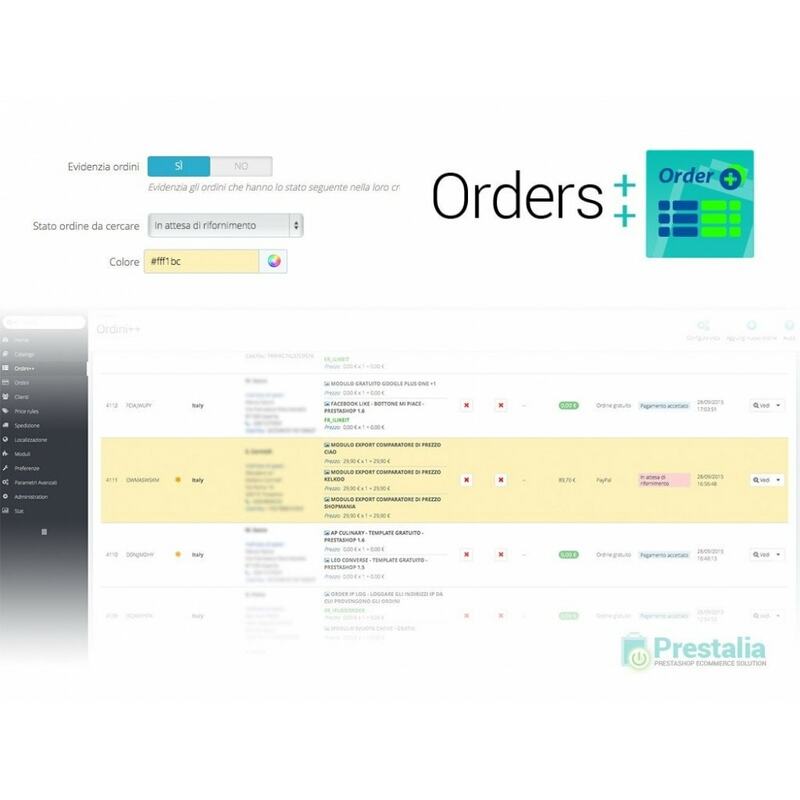 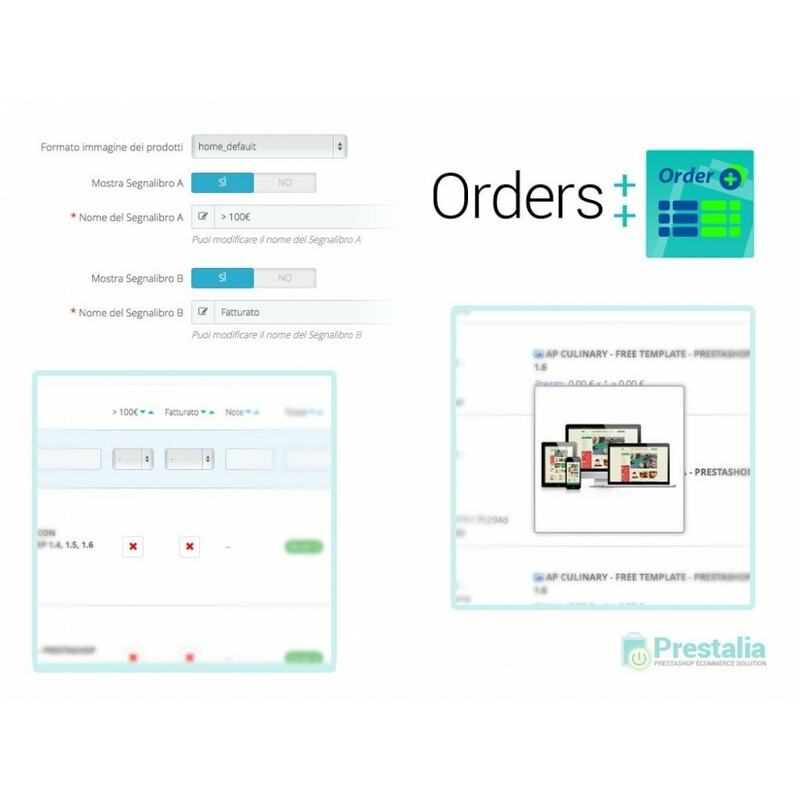 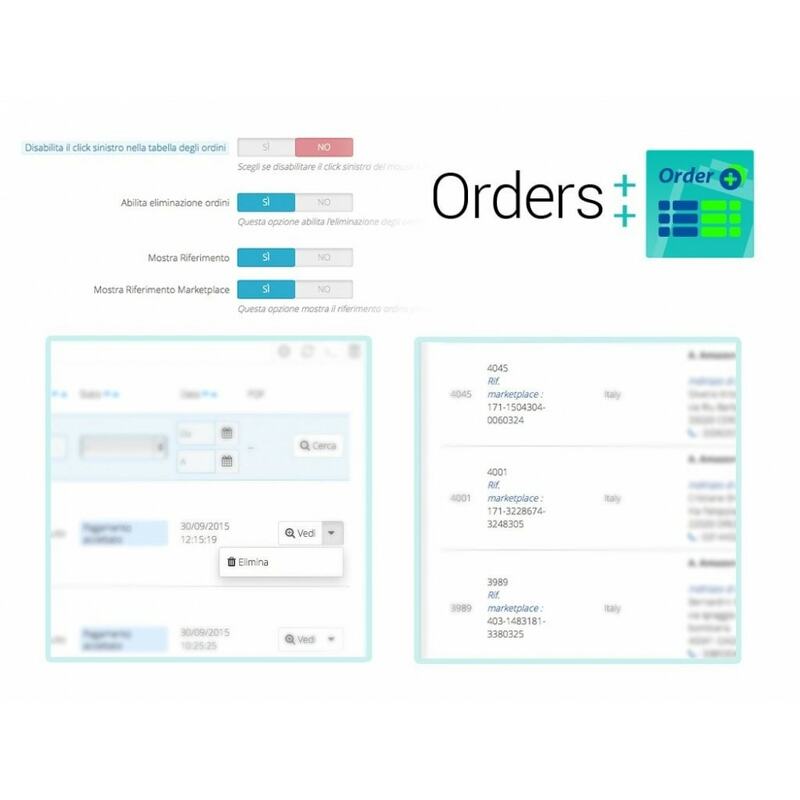 The purchase of the module Prestalia "Advanced Orders List with filters and special features Module" (which allows you to push products with immediate shipment style Amazon) will display an icon in order list "lightning" that allows you to highlight the orders will be processed as a priority. 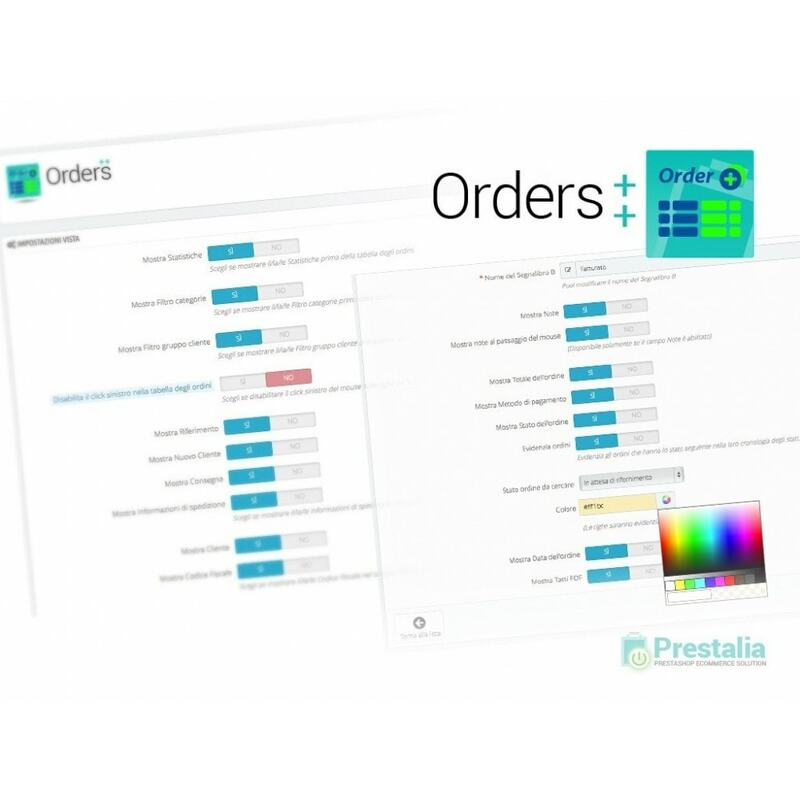 Installing the module is child's play and it's also shipped with a detailed PDF guide. 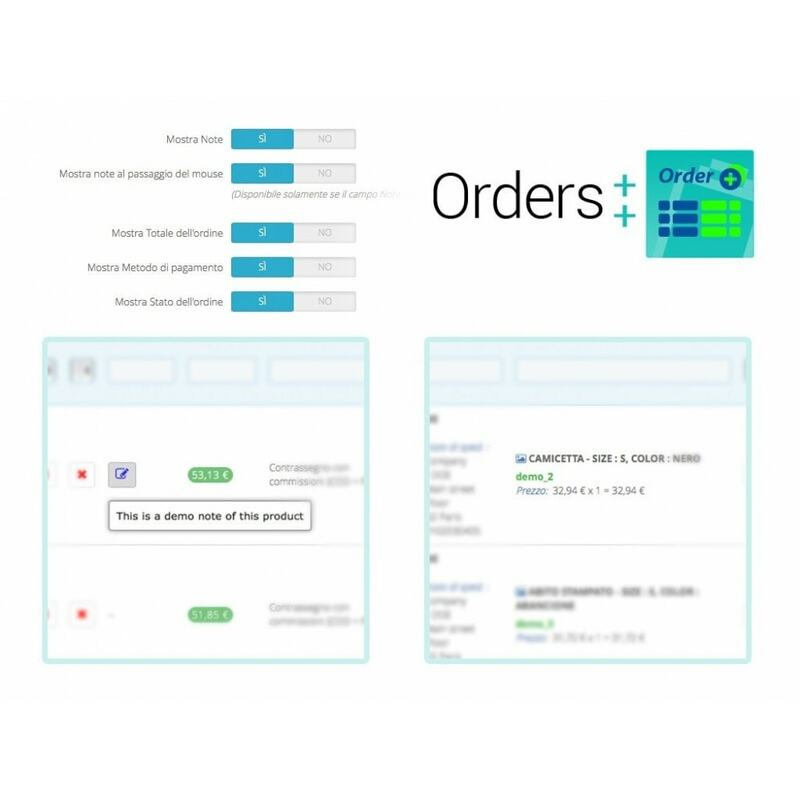 In case of issues or concerns our customer care team is at Yours complete disposal to give you support and answer your questions.